Is This London's Smallest Escalator? M@ Is This London's Smallest Escalator? It's no secret that Angel tube station has London's longest escalator, but what about the smallest? We've found a possible candidate. This Lilliputian stair can be found in Victoria Station; specifically, the new-look Victoria Place shopping mall. Head in through the Eccleston Bridge entrance, to the south of the station, and you'll encounter the pint-sized platform. A couple of upwardly-minded strides, and you've reached the top. 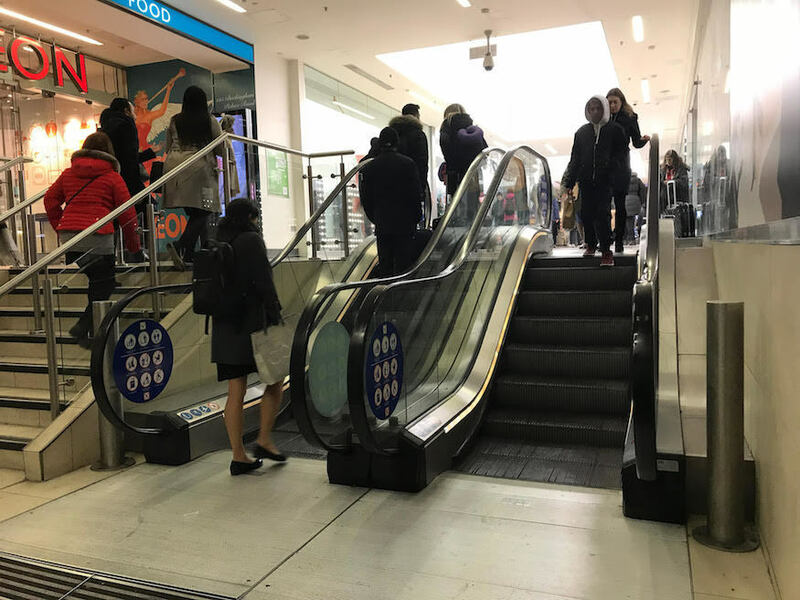 Is this London's shortest escalator, then? We've not seen anything more compact, though we do hear rumours of a still-more-stunted example in the ground floor of Harrods. Let us know.